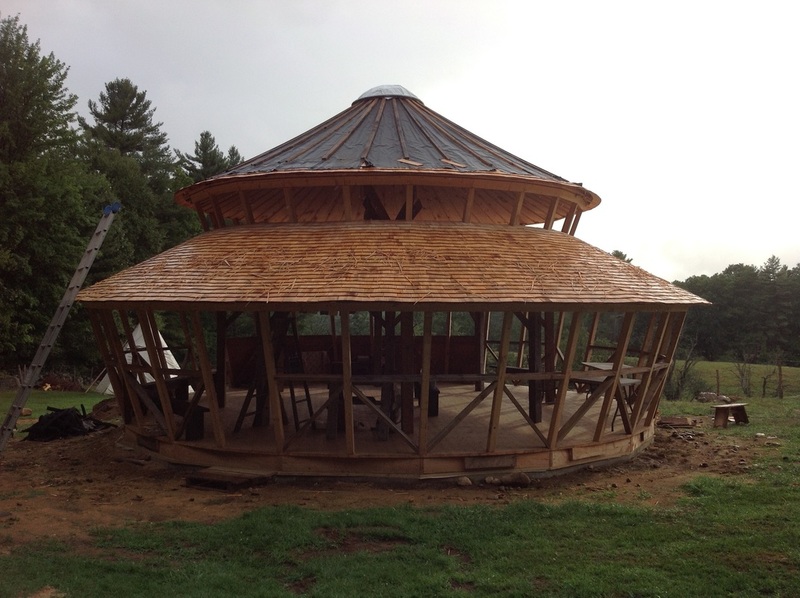 Mike designed this yurt for the Owen Farm in Southern New Hampshire to be used as a workshop space. 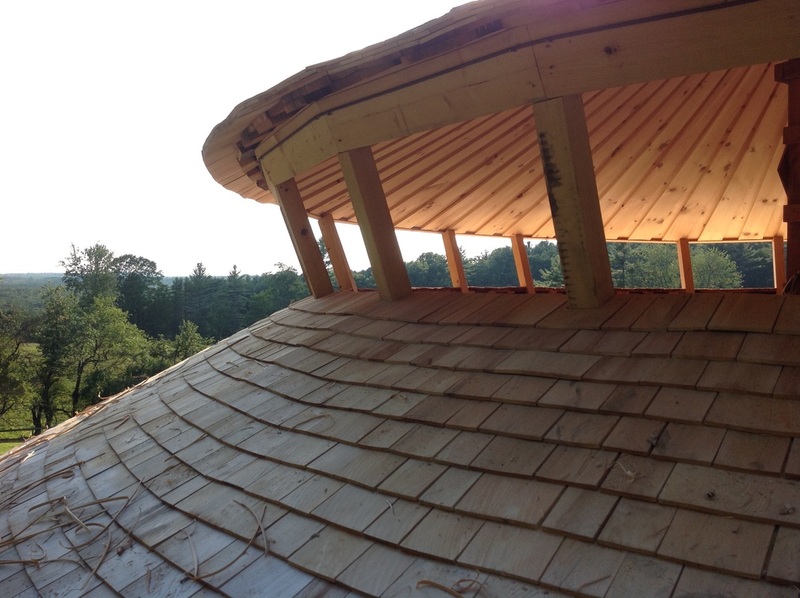 It will house yoga camp, farm camp, soap making workshops, and homeschool group to name a few. 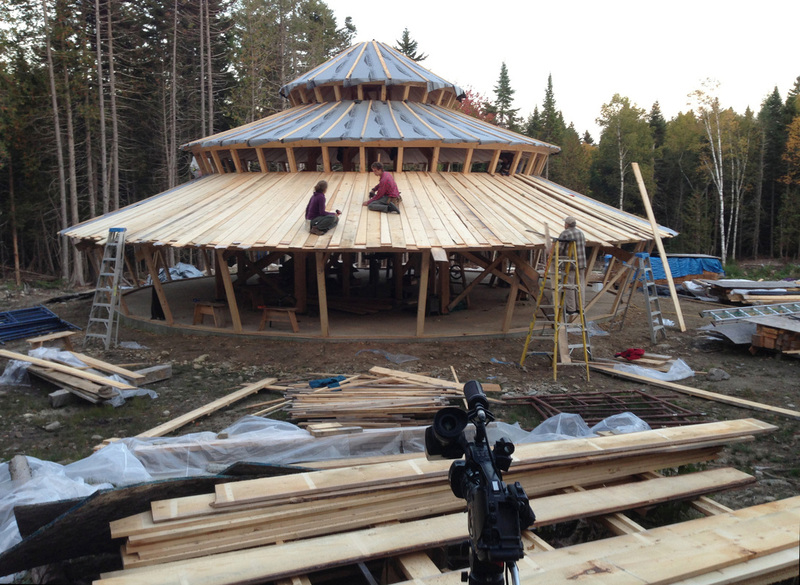 The main structure was assembled during a two-week intensive workshop with mostly a volunteer crew. 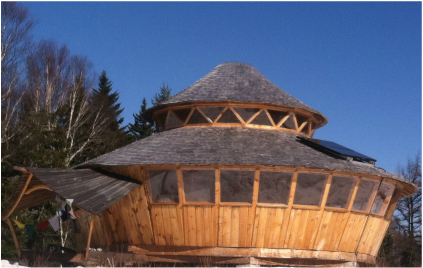 Mike's Friend and Mentor, Bill Coperthwaite designed this yurt for Josh and Melanie. 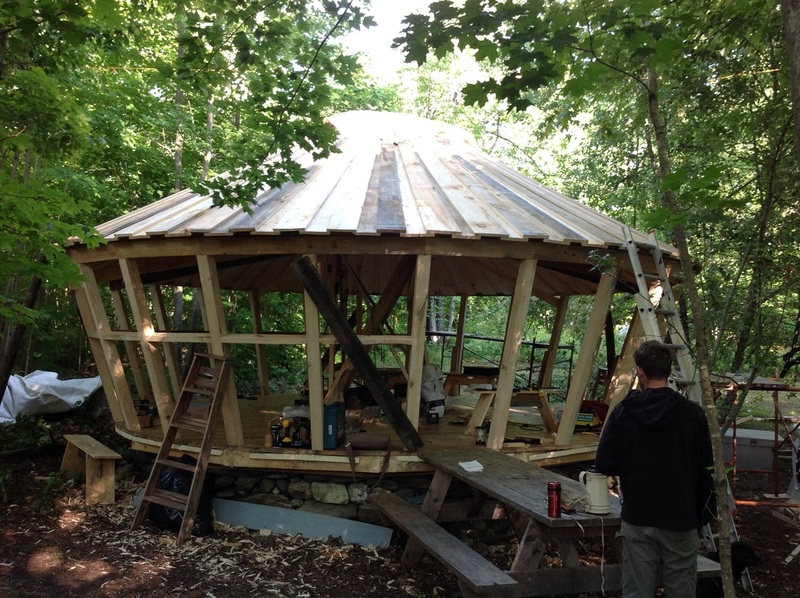 Before his passing, Bill and Mike were planning to build this yurt together. 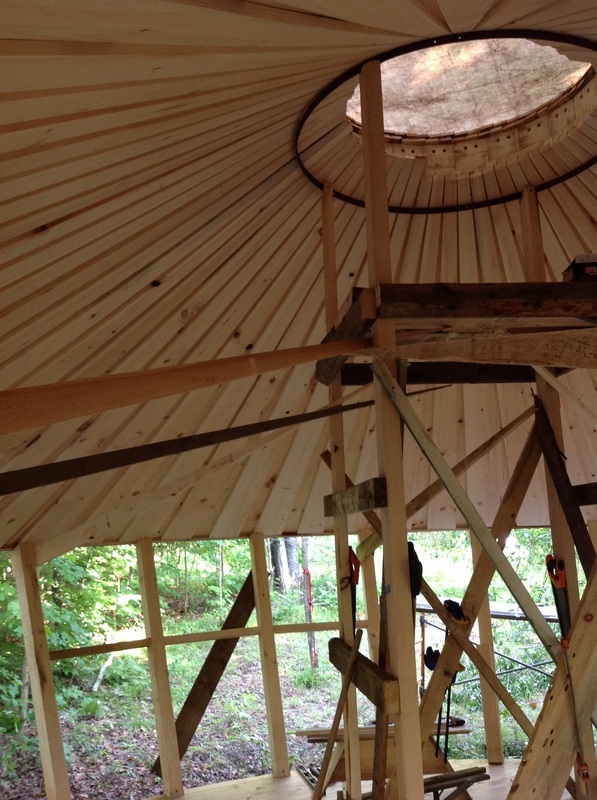 Sadly, Mike had to continue without Bill in preparing to build the yurt. Mike led the two two-week workshops in August and October of 2014. It was a great joy to share those four weeks with all the great folks near the coast of Maine with sunshine on our skin and sawdust in our hair. 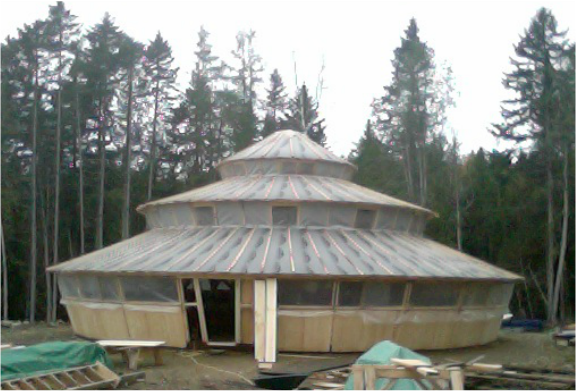 Contact Mike and he can send you a yurt plan, or design a custom yurt! 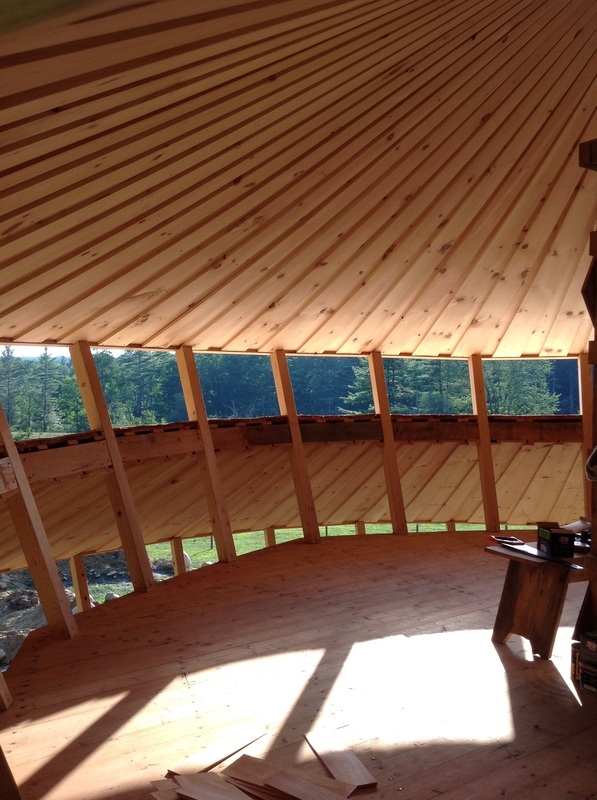 Mike was lucky to lend a hand in a two-week workshop (led by Bill Coperthwaite) in 2011 during which we made this gorgeous two-story wooden yurt. 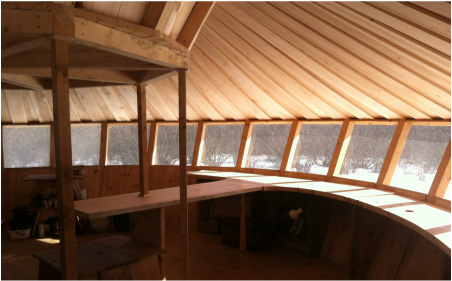 Originally built in a workshop facilitated by Bill Coperthwaite in 1987 - 17 foot diameter "Standard Yurt" - rebuilt walls, insulated with sheep's wool - installed windows, wood stove, stone steps, and deck.